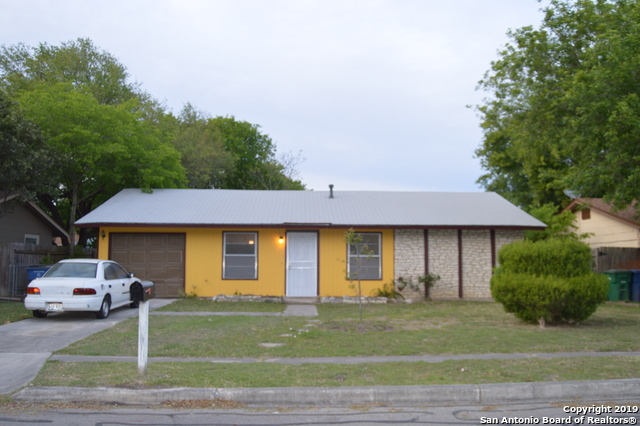 All EAST VILLAGE homes currently listed for sale in San Antonio as of 04/23/2019 are shown below. You can change the search criteria at any time by pressing the 'Change Search' button below. "Don't miss this beautiful, one story home that has so many great features and updates! It offers four bedrooms, two baths, a huge second living room, fresh paint, solar screens and more! This home sits on almost a quarter of an acre! It also has easy access to I-35 and Ft. Sam Houston!" "North East one story 3//2/1 with new neutral toned tile throughout, vaulted ceiling in living/kitchen/eat area! Bright very open floor plan with great back yard ready to be enjoyed with family and friends! Fresh paint inside and out, roof 2018. Large 21' x 12' patio slab!! Move in ready!! Must see!!" "WELL MAINTAINED HOME IN ESTABLISHED NEIGHBORHOOD*UPDATES INCLUDE NEW PAINT AND NEW FLOORING 2019*NEW WATER HEATER 2018*NEW ROOF 2016*OPEN FLOOR PLAN*EAT-IN KITCHEN OVERLOOKS VERY LARGE LIVING AREA. 10ft BREAKFAST BAR*CEILING FANS THROUGH OUT*MATURE TREES AND LARGE BACKYARD WITH COVERED PATIO FOR RELAXATION AND ENTERTAINING*MUST SEE TO APPRECIATE*CONVENIENT TO BAMC, RAFB, RACKSPACE." 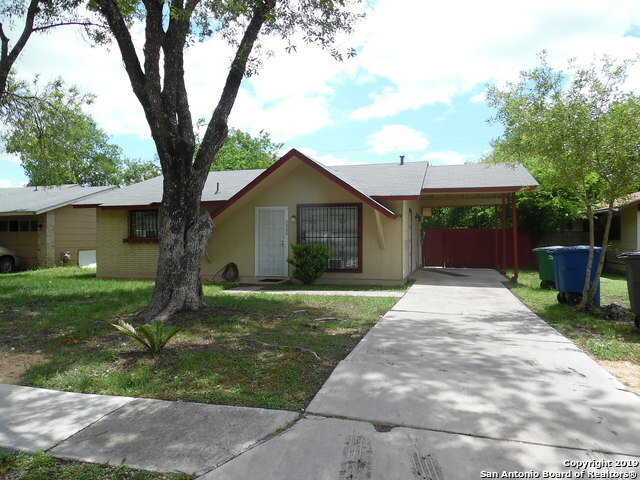 "Close to HEB 3 Br 2 Bh and one carport, has new laminate floors and big lot ready for new buyer." "Nice cozy home ready for move in. One story three bedroom and one bathroom. Updates include fresh paint, new flooring, new light fixtures. Big backyard with mature trees. Great price." "Are you looking for a quiet place to call home? This lovely 3 Bedroom 1 Bath home is located in Kirby TX. Home features 1 eating area, 3 bedrooms, 1 bath, fresh paint, and updated flooring through the house, detached 1 car garage, mature fruit trees in front yard. New roof - 1 yr old. Spacious backyard with lots of potential. Owner will convey refrigerator. This home has so much to offer. Close to Lackland, Randolph and Fort Sam. Se habla Espanol"